Our company is referred to as the “best carpet cleaning provider in SW14 Mortlake” and the praise is completely justified as we never fail to provide unsurpassed results at the best rates one could hope for. 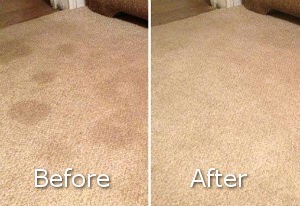 We have years of experience and have taken carpet cleaning to the next level! What’s our secret? The cleaners who work for the company undergo special and detailed training. All of them are referenced and checked to ensure only reliable cleaners will enter your home. Besides, they use powerful, yet safe and pet-friendly detergents in the cleaning processes. Our professionals are dedicated to their work and are striving for the smile on your face when you see the impressive results! 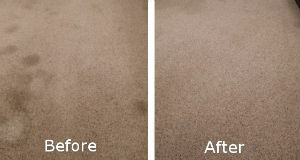 No stain is impossible to remove for us, as we provide the most detailed, high-quality carpet cleaning in Mortlake. We have served our loyal clients in the area for ages and they keep getting back to us as we always meet even the highest expectations! 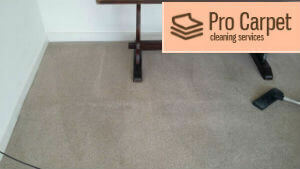 ﻿The first step in having delivered the best carpet cleaning procedure in Mortlake is to book it! We, of course, are the best choice and we will definitely prove it to you if you decide to pick us! The booking is very fast and easy, like child’s play! Dial our number and call us or find us online and write us! We are expecting you to reach us anytime and we will gladly book the carpet cleaning service for you! The next reason to reach us is the fact that we offer our services on low and fixed prices. They are fixed according to the type of the carpet and will not change in any circumstances! The products and machines that we use to clean carpets are also part of the price so we will not charge you any extra fees for them! When details and diligence are concerned, nothing can beat our cleaners. They will arrive in your home for a free inspection of the carpet to determine a price and will stick to it, as we are strongly against the so-called “hidden costs”. Bare in mind that the team will also move furniture around so that every inch of the carpet is cleaned. Stain identification and pre-testing on a small area of the carpet is a must, as it helps cleaners determine whether a specific detergent can be safely applied on the carpet. What comes next is vacuuming – one of the most important steps in the process as it removes dry soil, sand and dust from the fabric. Obstinate spots will be treated with special detergents which increases the chances of removal. Our team will use steam cleaning to eliminate the rest of the grime on your carpets. Then, using specialised air movers, they will go through the surface again to insure the drying time is quick. At the end of the procedure, the cleaned areas will be sprayed with protective layer that ensures the repelling of any future stains! Another thing our cleaners do is deodorising the carpet to make sure there aren’t any unpleasant odors. As we mentioned, we offer a guarantee. The team will inspect the carpet once more, showing you the results. If you’re not satisfied, they will repeat the previous steps for free. Sounds appealing, doesn’t it? If you want to ptovide the best possible care for your carpets just contact us to book our carpet cleaning service in Mortlake and become one of our many satisfied customers. Our services are available for anyone in Mortlake, who is interested, but also in Putney, Roehampton, Streatham and other areas. Give us the chance to prove you our greatness and we will do the impossible to exceed your expectations! Becoming a regular client of our company does not hurt at all, in fact it’s the best cleaning decision you can make!